Nearly any color combo you can dream up. Not really anything... eventually you'll scratch them up? 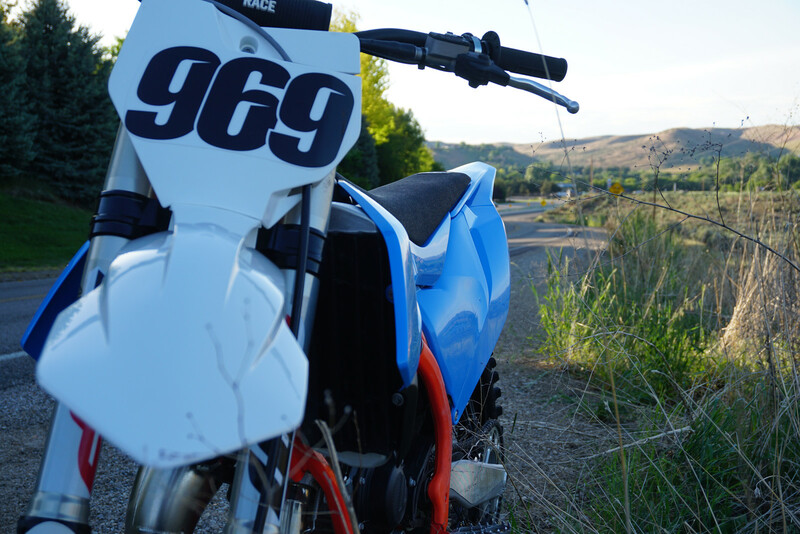 Like all dirt bike guys, I always enjoy getting new plastics and graphics on a bike. 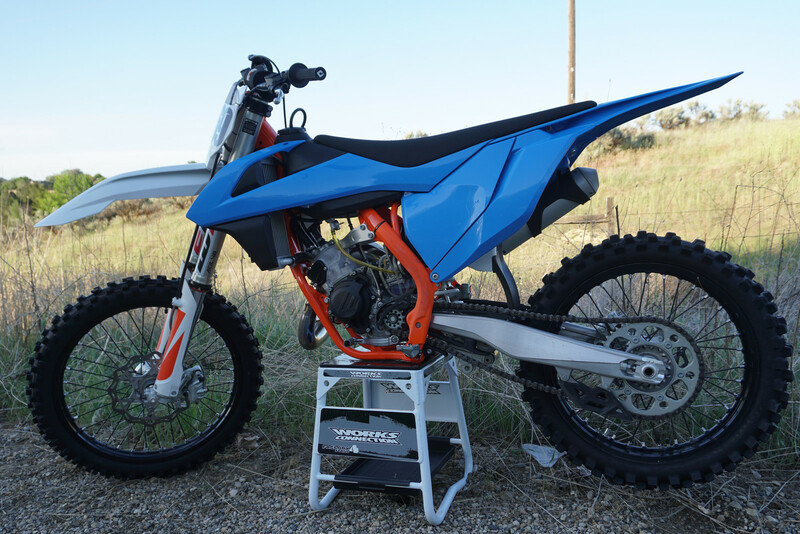 Lately, I’ve been seeing a ton of the KTMs with the baby blue plastics and the bright orange front-ends and figured I’d like to try something similar but change it up a bit from the norm. 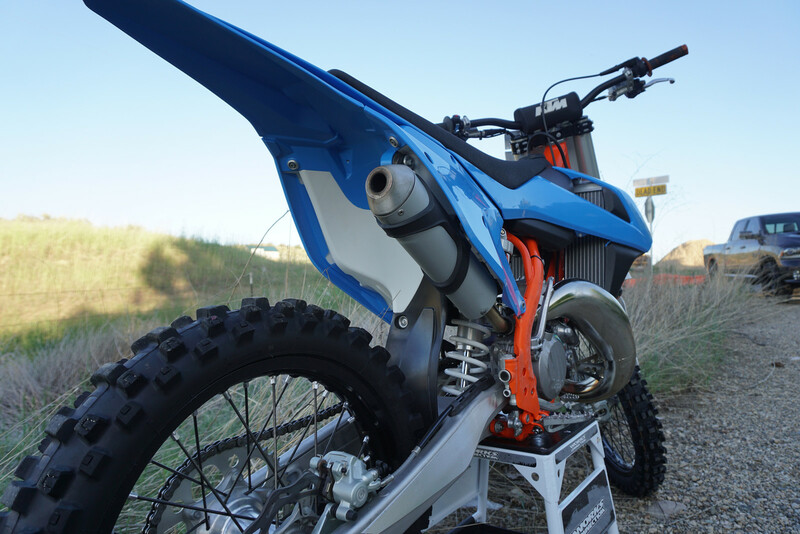 I ended up finding Rtech who provides the kit and was able to get me situated with the light blue KTM plastics for the shrouds, side panels and rear fender while having the front fender, number plate and fork guards in white. 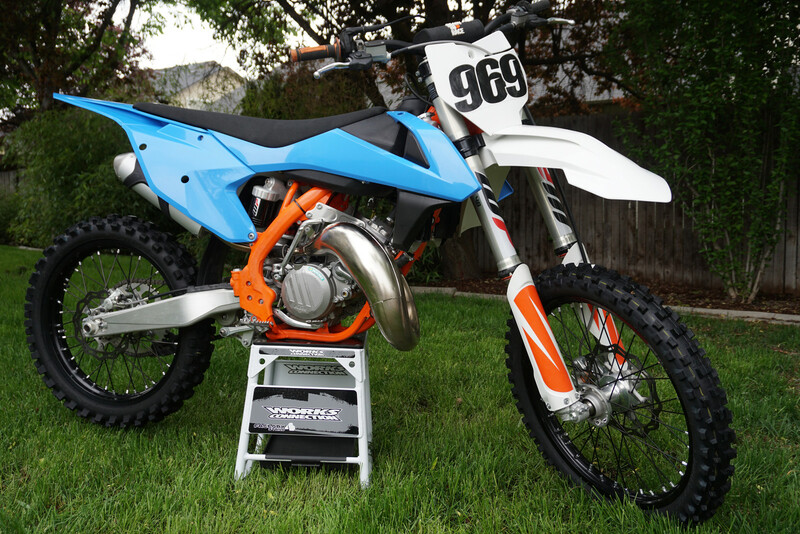 At first, with the ‘18 KTM frames being bright orange, I wasn’t sure how all this would mesh together but after seeing the bike put together I think I’m on to something unique in a world full of replica bike setups! 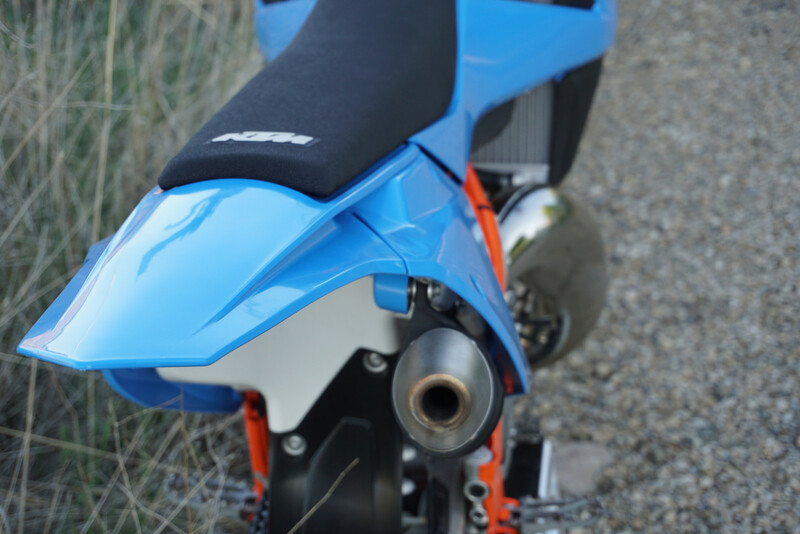 I’ve followed Rtech for awhile and have always thought they look like a rad company and with their ever growing presence in the US market, it was a no brainer to give them a whirl. The kit arrived quickly and all the pieces looked just as I imagined. The plastics had no rough edges or finish issues as the molds looked to be top notch. Install was easy as any other plastics company I’ve used. All the pieces lined up property and fit just how the OEM stuff did. 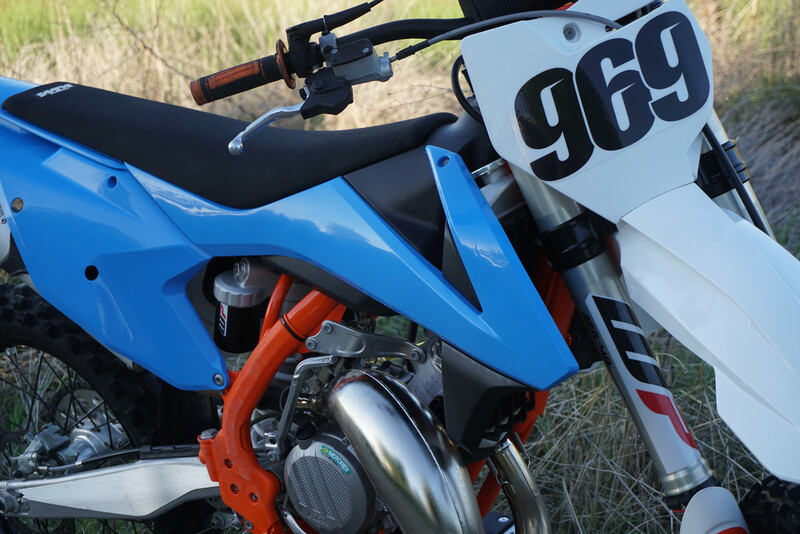 I did struggle personally in having to bolt up and remove a few of the pieces multiple times since on the KTM plastics there are quite a few overlapping plastics sections that I wasn’t used to. The Rtech kit had the aluminum washers pre-set in the proper mount holes and I didn’t have to go about popping out all the inserts from the OEM stuff to transfer it over. 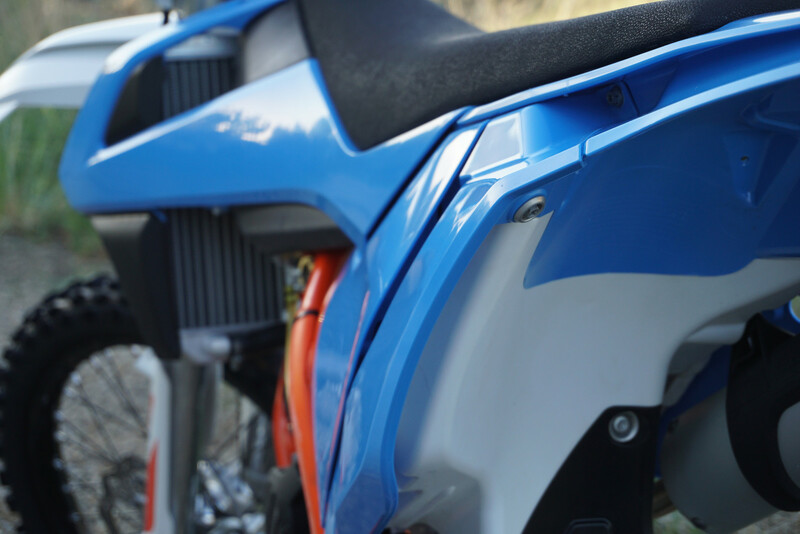 If you’re looking to spruce up your ride and freshen up those scratched plastics then check out Rtech’s website and see what they have to offer you for your bike! 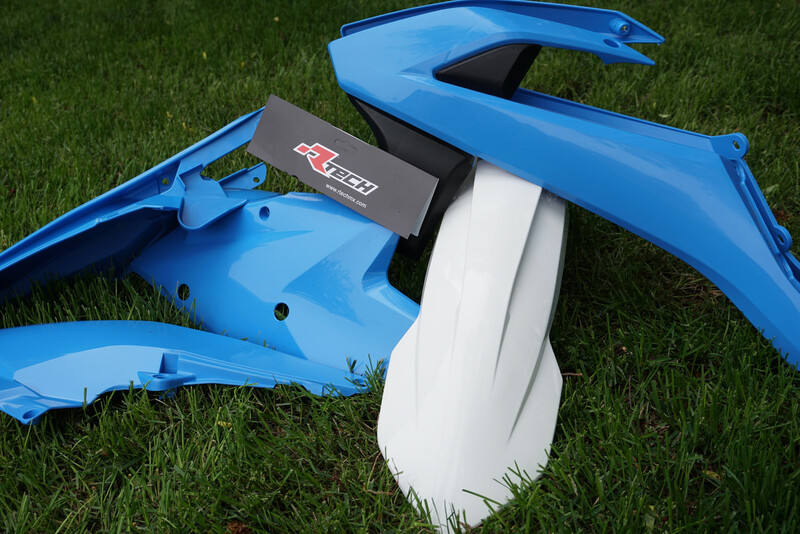 It’s nice having the options of coordinating the plastic color combos however you like with companies like Rtech as more and more people strive to have that unique look on their new steeds!